Did you miss the Save Our Earth Festival on Saturday, May 17, 2014, in New Albany? Then you missed our instructions for construction of a worm bin for composting. 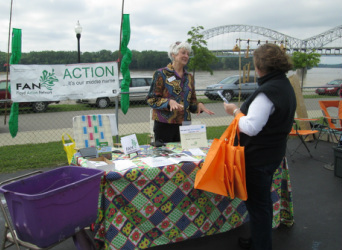 Environmental enthusiast learns about Floyd Action Network from member Judy Martin. 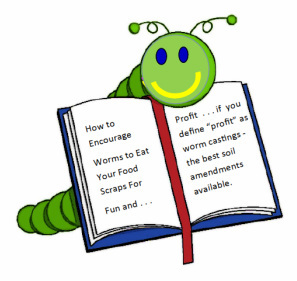 Click here for FAN's Cheap and Easy Worm Bin. Sale of our rain barrels fund our projects. Click here to read about our latest project - restoring Emery's Ice Cream in New Albany. Click on the ice cream cone to go to our FaceBook page to learn more details about Emery's. Here's one of our beautiful barrels. Order yours today. Then send a photo of your installed rain barrel and we'll post it on our Projects page.